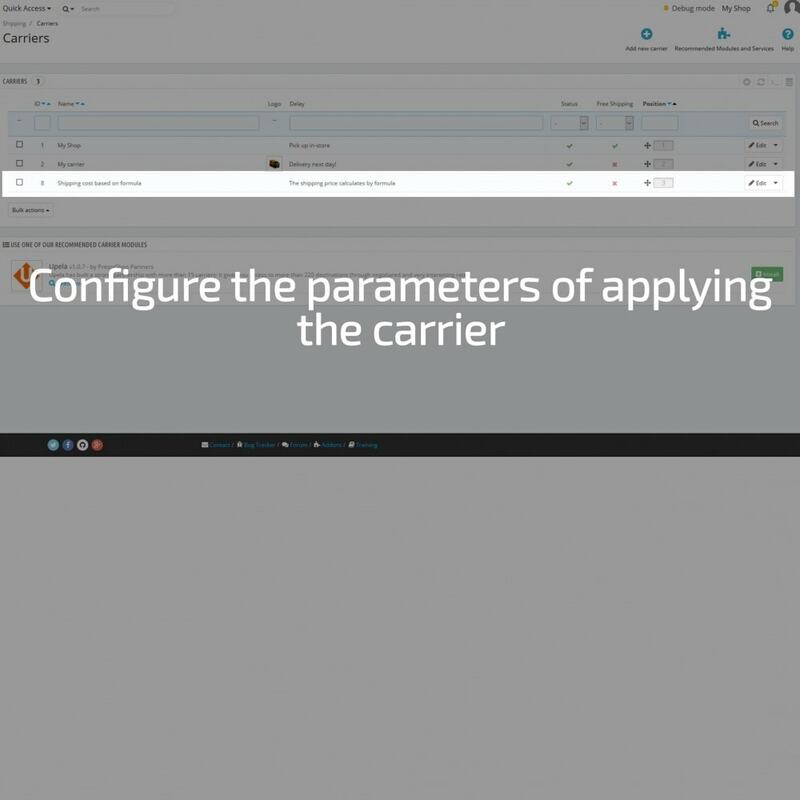 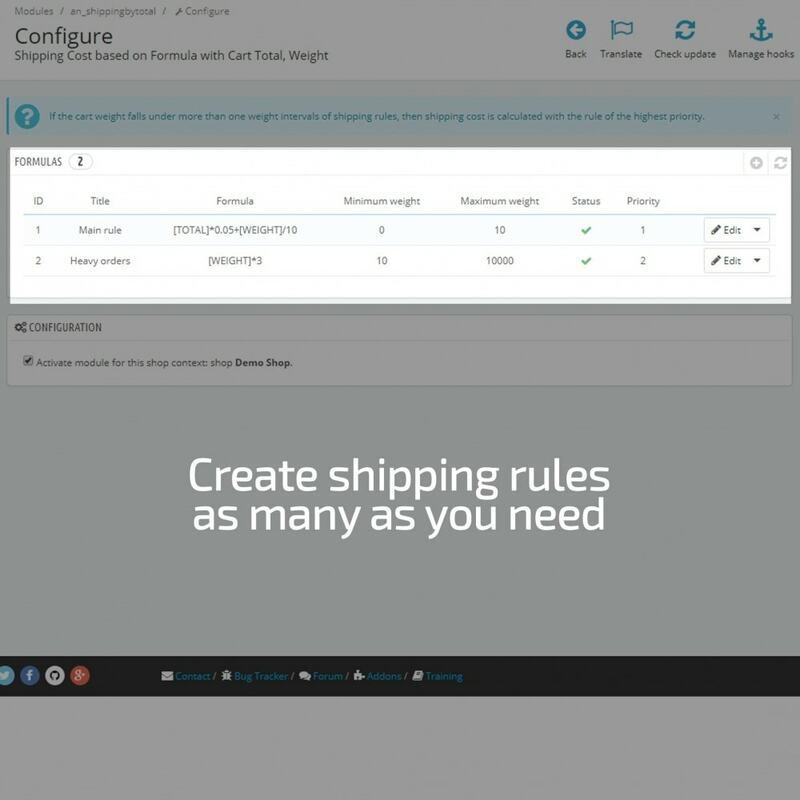 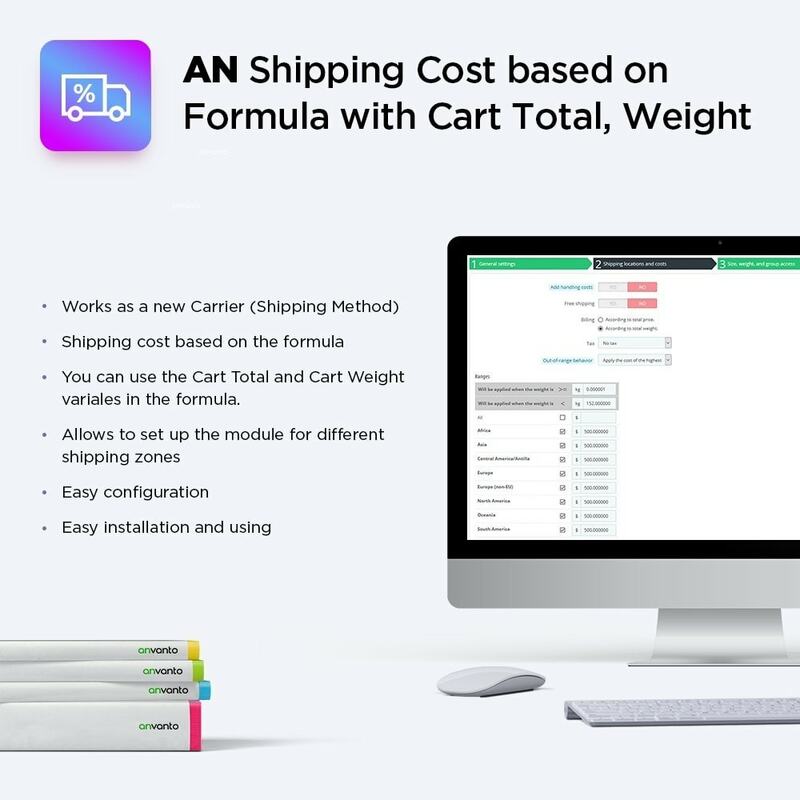 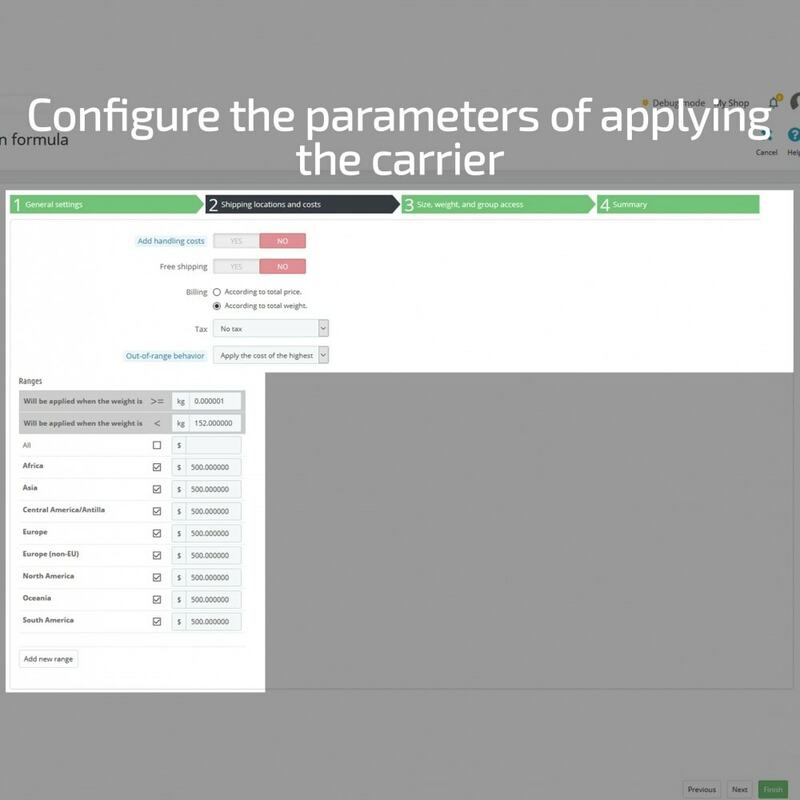 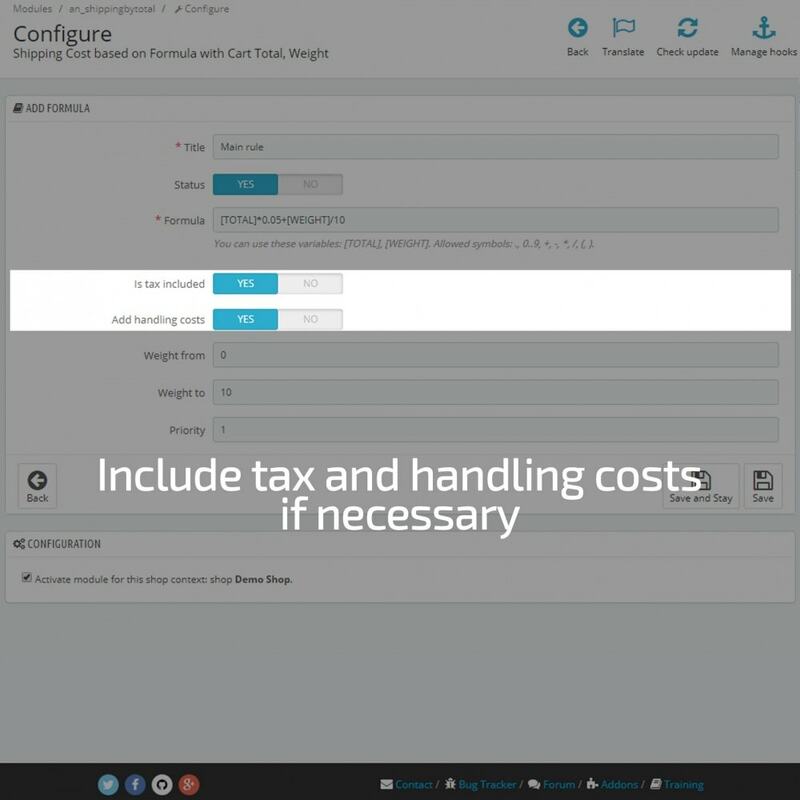 The module creates a shipping method (Prestashop Carrier) which automatically сalculates the shipping price based on the formula. 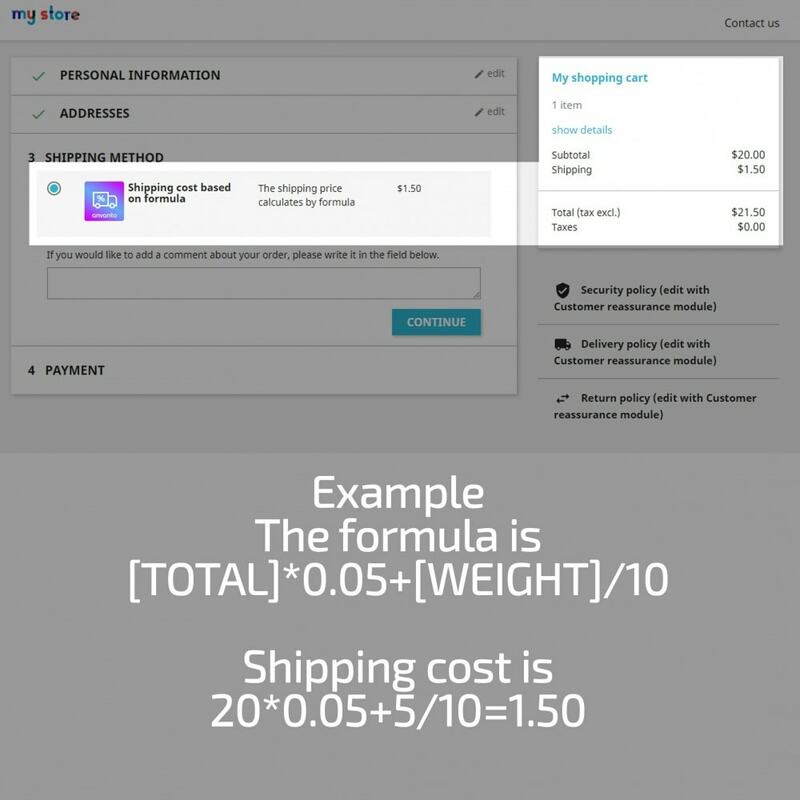 This formula can exists the Cart Total and the Weight variables. 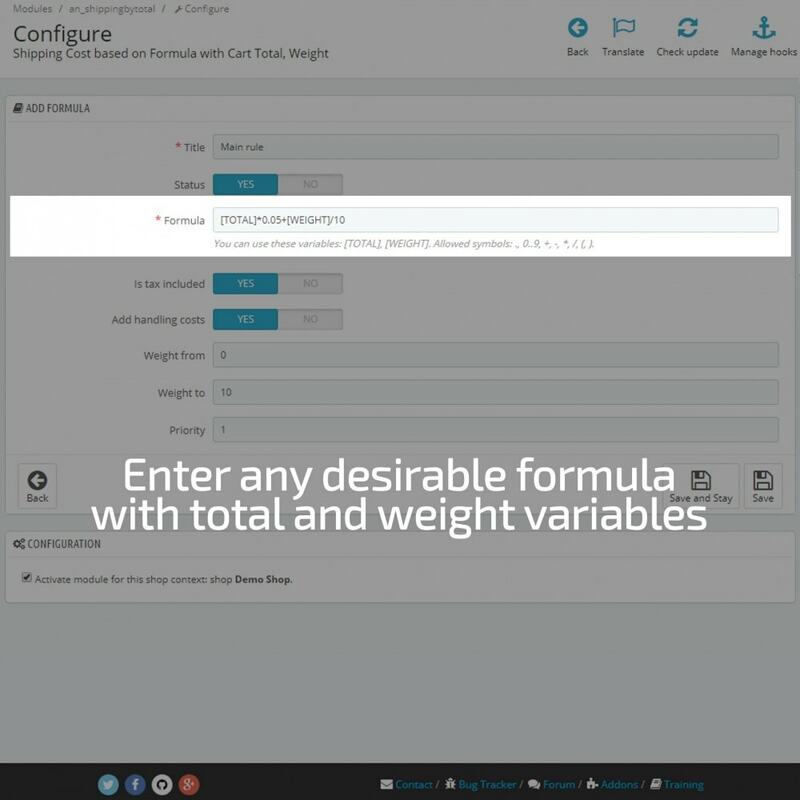 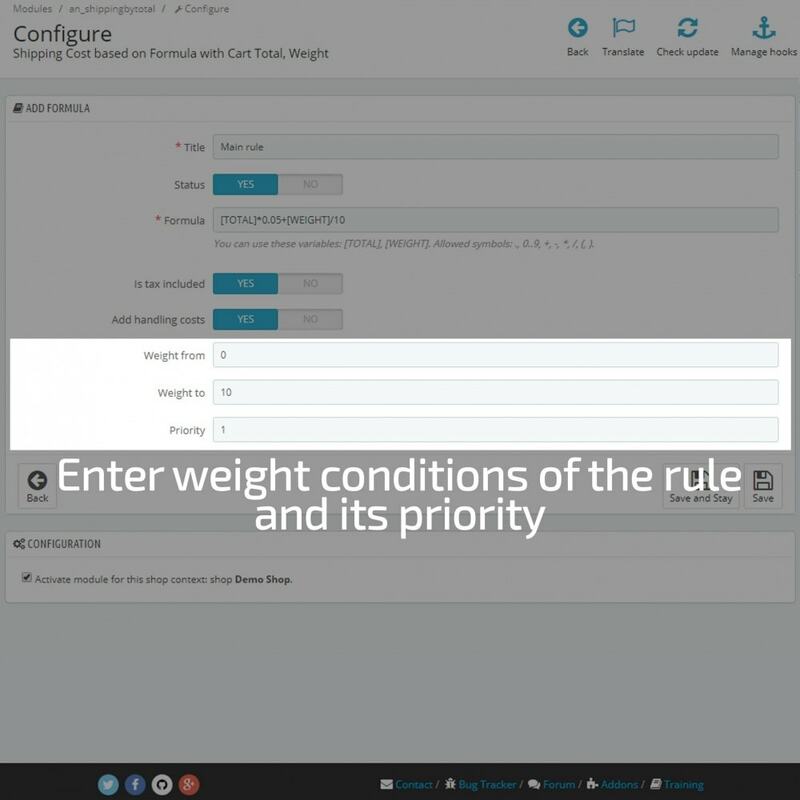 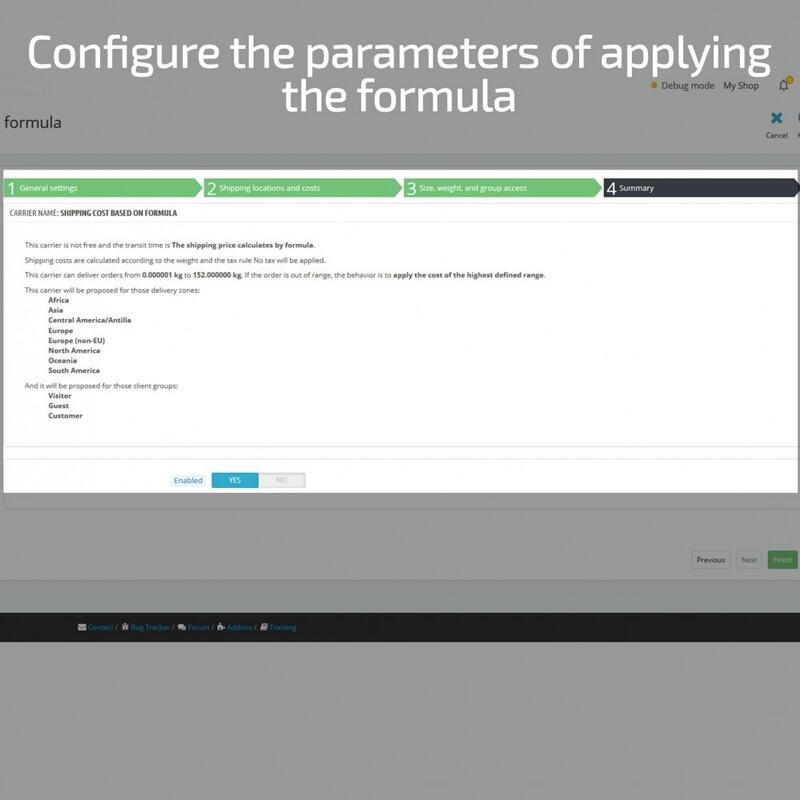 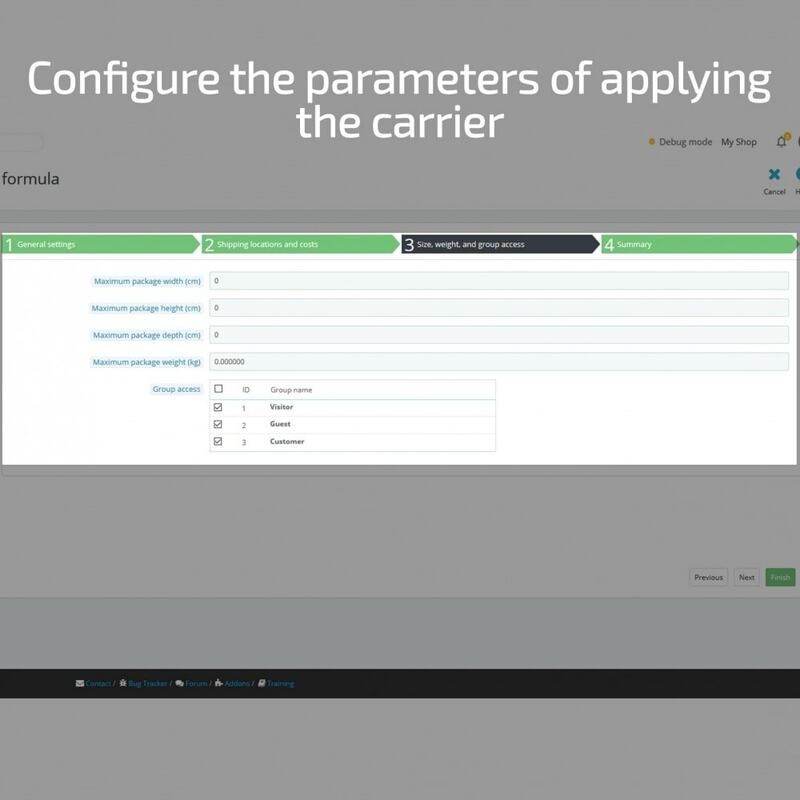 So, you can set up own formula which matches your business logic in the module's configuration!